Since decades, natural product-based antibiotics are the number one choice for the treatment of patients infected by bacteria. However, rising bacterial resistance limits the clinical application of these promising drugs worldwide. To reinstall their clinical use, AGILeBiotics employs its smart and patented synthetic method OxaSelect that converts existing antibiotics, which lost their efficacy, to novel antibiotic derivatives overcoming bacterial resistance. With this unique technology, AGILeBiotics evades the discovery step and gives promising antibiotics a second life cycle. AGILeBiotics is a spin-off company of the University of Groningen located in Groningen in the North of the Netherlands. The company is located in the InnoLab Chemie that offers state of the art laboratory facilities for start-up companies. 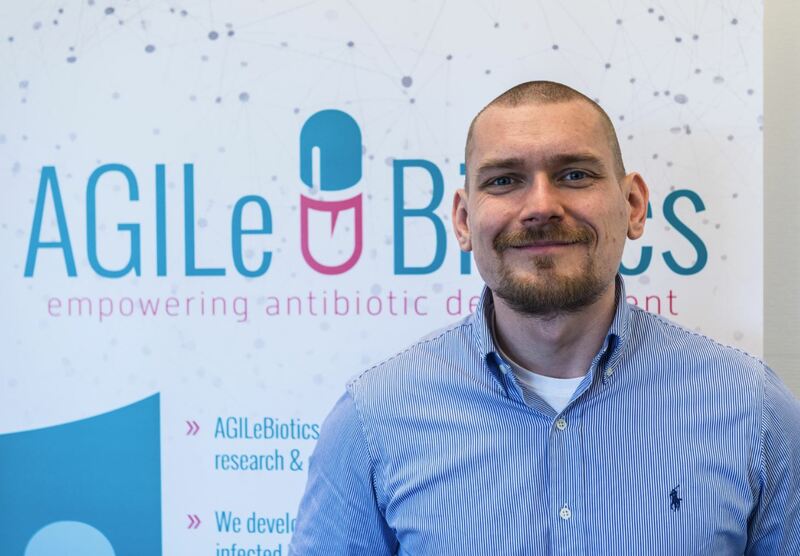 All technologies AGILeBiotics is employing were co-invented and established at the University by the CEO of AGILeBiotics Dr. Andreas A. Bastian. Supported by the University of Groningen and the University Medical Center Groningen (UMCG), AGILeBiotics is developing its own drug pipeline of novel antibiotics to treat multidrug resistant infections.